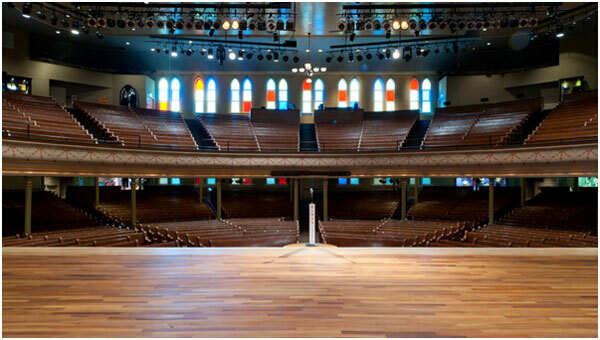 Nashville has a rich musical heritage, and one of the best places to experience that is the Ryman Auditorium. It was once the home to the Grand Ole Opry, but now it hosts the likes of Blake Shelton, Luke Combs, and more. When visitors come to Ryman, most prefer to take a behind-the-scenes tour of the famous music venue. One of the best displays is the “Soul of Nashville”, a screening which takes past footage of performers to show Ryman’s role in the music industry. At the recording studio, you can sing and even record your own CD to take back with you as a souvenir. Most visitors enjoy the tour, but the real experience is at the concerts. Make sure you stay updated with the websiteof the venue to learn more about upcoming performances. Ryman Auditorium is open daily from 9 am to 4 pm. Self-guided tours cost $21.95 for adults and $16.95 for kids aged 4 to 11. If you choose the Backstage Tour option, there is an additional charge. 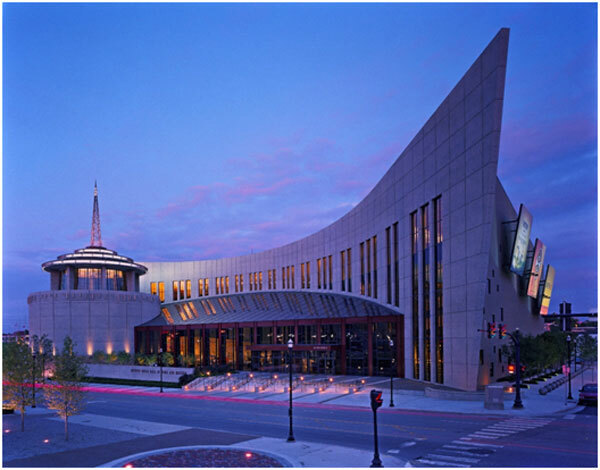 Ryman Auditorium might be the best place in Nashville to experience the music, but the Country Music Hall of Fame and Museum is hands down the best place to learn the history of music. The country music’s finest artists have plaques dedicated to them, which you can view. Aside from plaques, the museum is also littered with musical artifacts such as Elvis Presley’s solid gold Cadillac limo and Jimmie Rodgers’ guitar. If you head to Studio B, you can see that it produced over 35,000 songs by several country music legends. For more of a historical approach to country music, take the walk through the “Sing Me Back Home: A Journey Through Country Music” exhibit. The facility is open daily from 9 am to 5 pm. Entrance for adults is $25.95, $15.95 for kids aged 6 to 12, and free for those younger. You’ve probably heard of the Parthenon in Greece, but did you know there’s an almost exact look-a-like in Nashville. It’s the exact same size as the one in Greece too. It was built in 1897 as a temporary attraction, but its still here today. The statues from the original one is even replicated in the Nashville Parthenon. 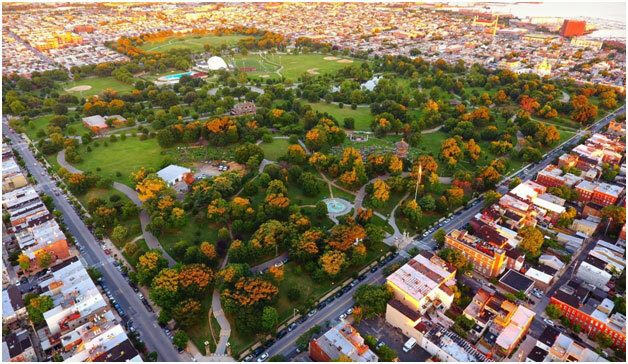 Around the Parthenon is plenty of greenspace, perfect for family picnics. The Parthenon is located near downtown Nashville in Centennial Park. It’s open Tuesday to Saturday from 9 am to 4:30 pm and from 12:30 to 4:30 pm on Sundays. Entrance for adults costs $6, $4 for seniors ands kids aged 4 to 17, and free for kids younger than 4. The Hermitage is a mansion built for President Andrew Jackson back in 1821. 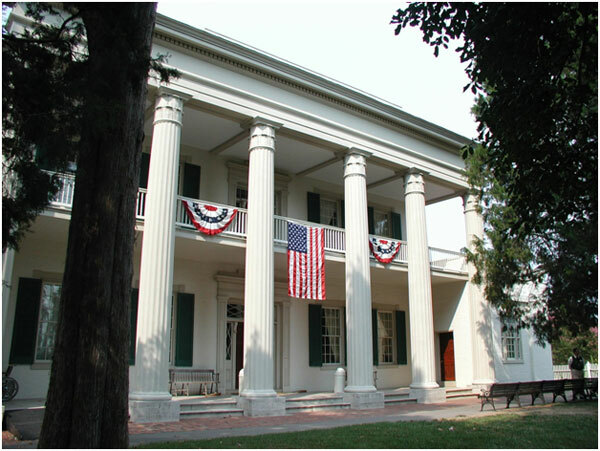 The mansion, built as a Greek Revival home, is part of the National Historic Landmark list. It also offers a view into President Jackson’s home life. The guided tour offered at the mansion allows visitors to see the “main house, the kitchen, an original log cabin, Jackson’s burial place, and the Old Hermitage Church.” Around the property are several popular exhibits, with one of the most popular ones about the slaves that worked in the property. The Hermitage is open every day of the year, with the year split into two different operating times. From October 16th to March 14th, the mansion is open from 9 am to 4 pm. From March 15th to October 15th, the Hermitage is open from 8:30 am to 5 pm. Admission ranges from $10 to $20, depending on the date and age of the visitor. Kids aged 5 and below has free admission. Johnny Cash is arguably the most popular country singer of all time, and this museum is dedicated to his legacy. 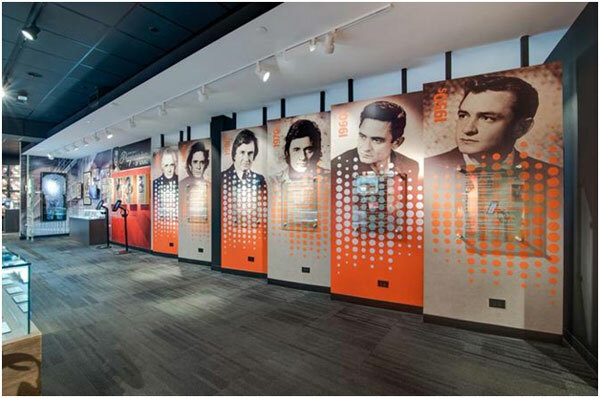 Since it is supported by the Cash family, it offers the most artifacts and memorabilia of Johnny Cash than any other places in the world. Some items include films, personal notes and letters, as well as costumes that he wore. The museum is lined with exhibits, most of them portraying different times in his life. Even if you’re not much of a country song devotee, visitors still recommend visiting it. The Johnny Cash Museum is open every day from 9 am to 6 pm. Adults get charged $19.95 for admission, while seniors, students, and military members pay $18.95. Kids aged 15 and below are charged $15.95 to get it. Those younger than 6 are free. The best way to tour the city of Nashville (as well as many other cities) is by chartered buses and vans. Explore at your own pace within the safety of your private vehicle. Don’t worry about ordering an Uber or Lyft when you have your own exploration vehicle. Through Prompt Charters, you can order the buses you need. Prompt Charters is an amazing, affordable chartered vehicle company that caters to your every need. Whether you need a bus for school trips, marriages, parties, campaigns, or whatever else, Prompt Charters can help you. Prompt Charters offers buses, mini buses, school buses, party buses, and more. Most activities and destinations listed above and below are accessible by chartered buses. Visit the promptcharters.com to book your rental bus today! 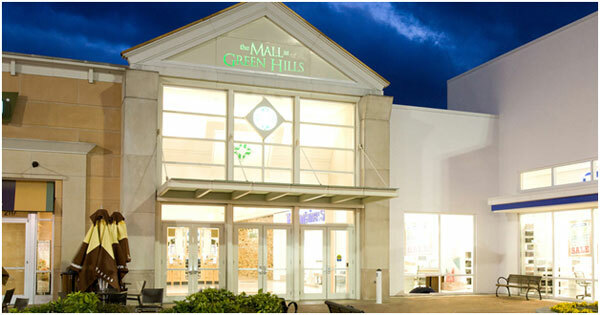 Mall at Green Hills–If you’re looking for a great place to shop, the Mall at Green Hills is probably it. It houses stores such as Nordstrom, J. Crew, Apple, Louis Vuitton, as well as plenty of dining options. Some include the Cheesecake Factory and Carrabba’s. 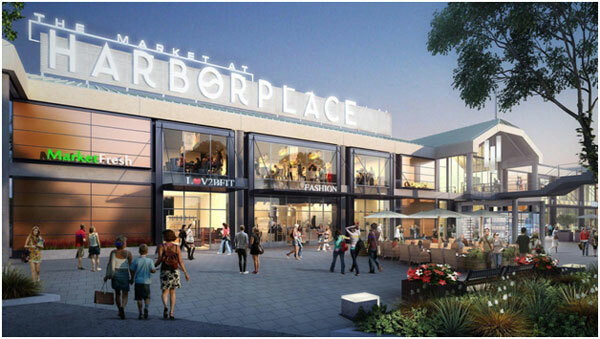 Hill Center – If you’re looking for a mall with more of a homely appeal, Hill Center is what you need. They offer several popular stores, with more of a local vibe. They also have several good places to eat. The Shoppes On Fatherland –The Shoppes on Fatherland are basically purely local. The community features a mix of about 20 local businesses. The Shoppes on Fatherland are great if you want to buy souvenirs, locally made clothing, chocolate and sweets, and more. The Chef and I on Ninth – The Chef and I is an American restaurant that offers meat options, vegetarian and vegan options, as well as gluten free options. The Chef and I is rated the #1 fine dining restaurant in Nashville by tripadvisor for 2019. Monell’s Dining & Catering – Most cities have popular, local joints, and Monell’s is that of Nashville. The American restaurant serves popular, local dishes made from locally sourced products. Monell’s is rated the #1 local cuisine restaurant by tripadvisor for 2019. We hope you enjoy Nashville! It comes by every year, but how often do we remember it? Yes, I’m talking about Presidents Day. Sure, a lot of us don’t have work or school, but for what reason? This year, on February 18th, America celebrates George Washington’s birthday as a federal holiday, also known as Presidents Day. From Washington to current presidents, each has impacted America and left behind a legacy. Presidents Day is set apart to honor those leaders who have guided America through the years. An amazing way to honor that is to visit one of these 5 historic and patriotic sites below for Presidents Day. Perhaps, even make it a weekend getaway trip with your family. Other than government buildings, there might not be any place more “president-celebrating” than Mount Rushmore. The mountain is set in Black Hills Mountain Range in South Dakota. It’s not the location that is important, but what’s on the mountain. 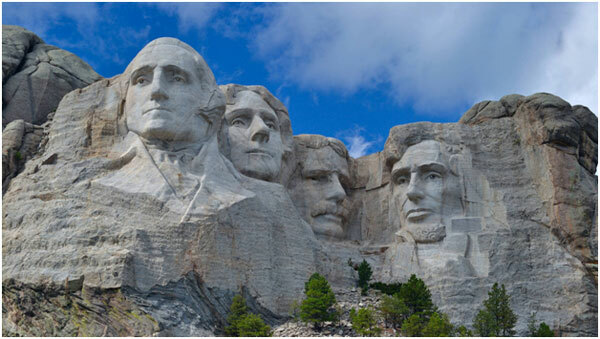 Carved into the granite is the faces of four of America’s greatest leaders: George Washington, Thomas Jefferson, Theodore Roosevelt, and Abraham Lincoln. These Presidents are perhaps America’s most famous presidents, and each played an important role. From Washington’s leadership to Lincoln’s freedom to all slaves, each of these great men shaped America to what it is today. Mount Rushmore is a perfect historic place for anyone, especially for a visit on Presidents Day. At the time of America’s founding, Boston played a very important role. It was here where the “Shot heard around the world” was fired, beginning America’s War for Independence. Aside from important battles fought at Boston, it was also where important colonists leaders spoke out and made decisions. Freedom Trail highlights the important areas of Boston by linking them through the trail. Some of America’s oldest buildings lie on the trail. The red-brick and cobblestone path takes visitors to 16 significant historic sites, winding from Boston Commons to Bunker Hill Monument. If you can make it to Boston, you can’t miss walking the good ol’ Freedom Trail. 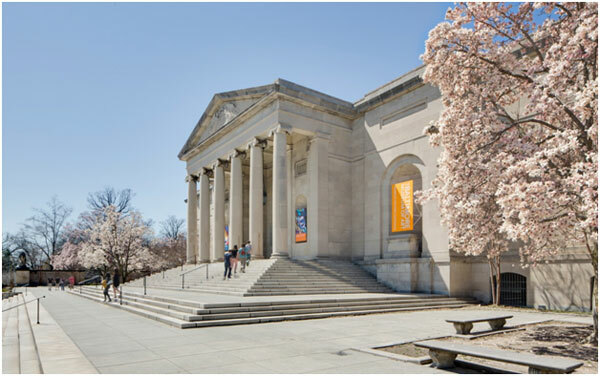 Many important buildings, structures, and documents of America’s founding can be found at Independence National Historic Park in Philadelphia, Pennsylvania. 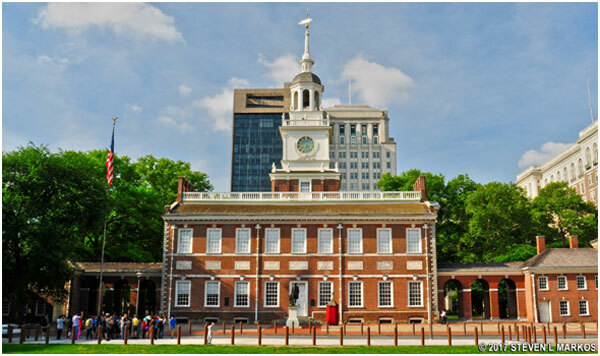 One of the most historic sites in the national park is Independence Hall. It was here where the original Declaration and Constitution of the United States were “debated, drafted, and written.” Within, you can still find the original copies of the Constitution and the Articles of Confederation. Across from Independence Hall, you can find the Liberty Bell Center. Like its name implies, this is the home of the original, cracked Liberty Bell. The Liberty Bell was once mounted in the tower of Independence Hall, but it began to crack over time. After several unsuccessful attempts at repairing the metal bell, they put the bell in what is now the Liberty Bell Center. The national park also contains several other historic sites, like the United States’ first bank. 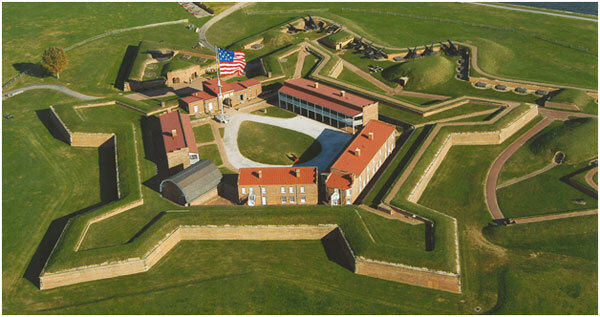 Independence National Historic Park is definitely a must-see for every proud American. The New York Federal Hall is the birthplace of American government. 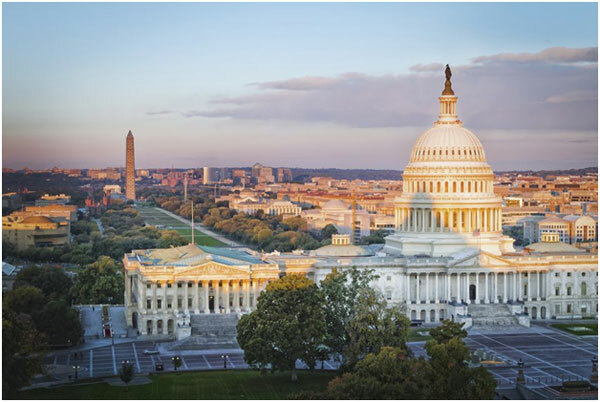 Not only was it the location where George Washington swore the oath of President of the United States, but it was also the meeting place for the first Congress and the first Capitol of the United States. This was where many important decisions that have impacted American life today were made. Federal Hall was also the home of the Supreme Court and the Execute Branches of the government. Today, the original building has been replaced by a Customs House, but it still serves as a museum and memorial to our first President and the history of our government. Inside, you can find original copies of several acts and laws, as well as the Bible Washington was sworn into office with. We recommend that you plan a visit to New York with a visit to Federal Hall National Memorial as part of your itinerary. The National Mall, Washington D.C.
No, this isn’t a shopping mall. The National Mall is actually the park containing several of America’s most important building. The long, grassy strip of land contains both the Lincoln Memorial and the Washington Monument. Towards the east end of the park, you can find our nation’s Capitol building. Towards the north, you can find one of the most protected buildings in the United States, the White House. Inside, you’ll probably find the President doing his job, but its very rare to meet him. Usually, people aren’t allowed into the White House unless within a tour or they have special access. A word of caution: do not try to get into the property without permission, as you most likely will get tackled (or shot) and arrested. Exploring certain areas within the White House without clearance may not be such a good idea either. If you can get a chance, visiting the National Mall and its sites make for an amazing, educational trip. How to Get to These Sites? You know what’s a great way to visit these places? A chartered bus trip. Prompt Charters is our name, and bus chartering is our game! 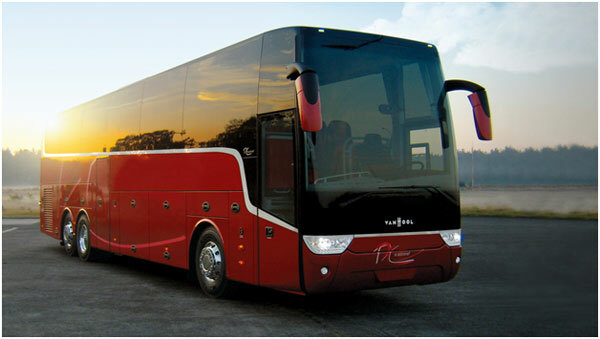 We are one of the best in the bus industry, offering reliable and efficient chartering services. No matter what you may need, we will do our very best to fulfill all your desires. We recommend bringing a decently-sized group with you to visit these locations, as it’s more cost effective this way. Our buses can fit up to 60 people, so don’t worry how large your group is. 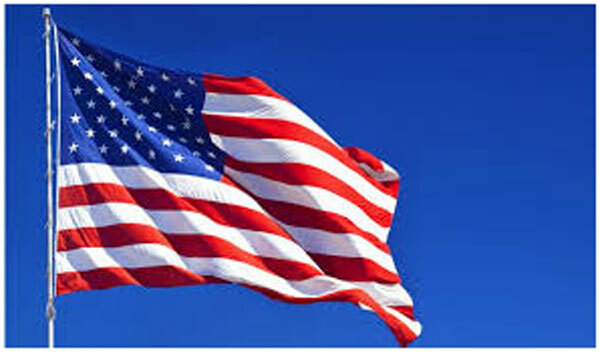 Our experienced drivers can pick your group up, take you to these patriotic sites, and then to a hotel if you wish. After spending the night (or however long YOU want), our drivers will take you back home OR to another place of your choice. Just let us know your travel plans ahead of time, so we can help you arrange your itinerary. Don’t worry about a comfortable ride, we got that covered. Most of our bus models offer extra legroom and leather seats, so we’re sure you’ll have a relaxed trip. Learn more about why you should travel with Prompt Charters. You’ve been waiting for the day you say “I do” for the longest time. You have everything planned out, from the seating to the decorations. It’s finally your big day, and the one thing you definitely shouldn’t be worrying about is the wedding shuttle transportation. That’s why you have Prompt Charters. From out-of-state to hotel to venue services, we offer it all. We understand how stressful it can be for the couple to arrange everything, transportation included. They obviously don’t want their visitors late to their wedding, so they expect our shuttle services to get there on time. We do that and soooo much more. We don’t want your guests being late, struggling to find parking, or getting lost. From timing to reliable travel, Prompt Charters has it all locked down. 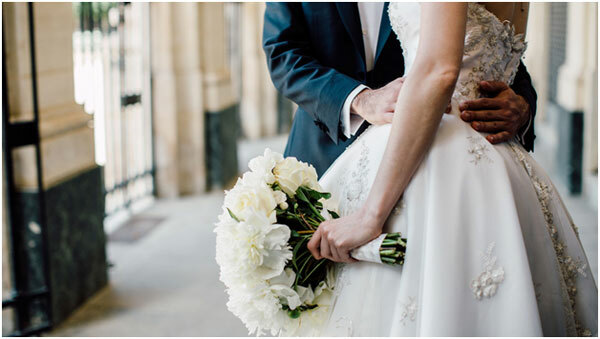 Learn why you should pick Prompt Charters as your wedding transportation below. Most weddings are held at venues, which means many, if not most, have to stay at hotels nearby. Getting to the ceremony location, like a chapel, can be difficult with traffic, finding parking, and driving directions. Depending where the wedding is, getting to it might make you late, especially with a large crowd. That’s why you should book Prompt Charters for an on-demand shuttle service. Depending on how many buses you want, our drivers can take the crowd from the hotels they’re staying at to the chapel. This proves to be faster than the visitors driving their own cars, causing an influx in the traffic. It also prevents them from getting lost. Driving directions can be confusing at times, but our drivers are highly experienced and have a thorough knowledge of the roads in the area. We recommend you booking several minibuses, because they can quickly shuttle passengers from one place to another. Do you have visitors coming in from out-of-state or from a distant city in your state? If so, you might want a bus picking them up instead of them flying in or driving. If they all meet up in a central location, our bus drivers can pick the whole group up and transport them to their accommodations in your wedding city. If you/they have pre-arranged hotel plans, our drivers can drop them off and standby for further shuttle services. From the hotel, the buses can shuttle the visitors to the ceremony and then to the reception (if you’re having one). The importance of shuttle services can be read above. Once all the events are done, our drivers can take them back to the original pick-up point. When people travel, they always prefer to be comfortable. Prompt Charters strides to provide the most comfort in the industry. Many of our seats are plush, leather seats that people delight to sit on. We offer more legroom than a typical car or plane, giving a chance for passengers to stretch out. We know many wear their best to weddings, and we don’t want them to get wrinkled. By providing more legroom, passengers can keep themselves looking tidy and sharp. Not only are our buses comfortable, they also are reliable. Each bus is constantly tested and tried for any issues and problems. On top of that, our drivers are background checked and reliable. They know all the roads they travel on, and they also can be your personal guide for the area. When it comes to reliability, Prompt Charters are sure we’re one of the top competitors. Other than shuttling visitors in, we also recommend you book us for other wedding related travels. Examples include the rehearsal dinners, groomsmen and bridesmaid’s transportation, honeymoon, and much more. We offer a special type of bus called the party bus. Inside, visitors can lounge back in their plush, leather seats and enjoy the party atmosphere. Inside, you can find a PA system, speakers, flat screen monitors, tables, and even a bathroom. These buses are perfect for afterparty travels, transporting the groomsmen and bridesmaids, and even for city trips. Aside from this, we offer plenty of minibuses, motor coaches, and more. You can learn more about our services and vehicles at promptcharters.com. For a personalized quote, give our team a call at ☎ 1-877-277-6678. We hope you say “I do” to our services. Happy Travels! Charter a Bus Trip to the Best Ski Cities in the U.S.
Winter is in full blast right now, so that means amazing snow sports. Who doesn’t enjoy playing in the snow? One of the most popular is skiing, whether in the backyard or on the slopes of a mountain. In this article, we talk about the best ski towns in the United States, and possibly some of the best on the planet. 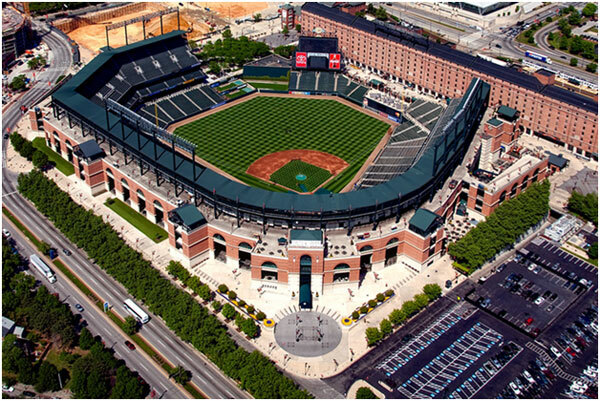 Instead of just flying to these spots, we recommend taking one of our chartered buses. Not only do they offer great reliability and comfort, but our drivers are highly experienced and have a great knowledge of the roads. They will be able to take you to your destination as safely as possible, leaving nothing for you to worry about. 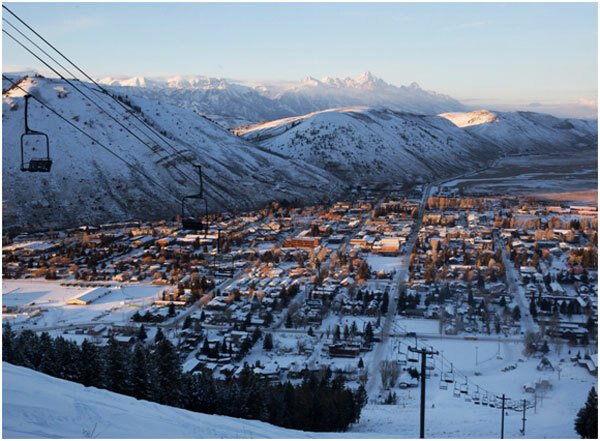 Keep reading to learn more about our picks on the best ski cities in America. 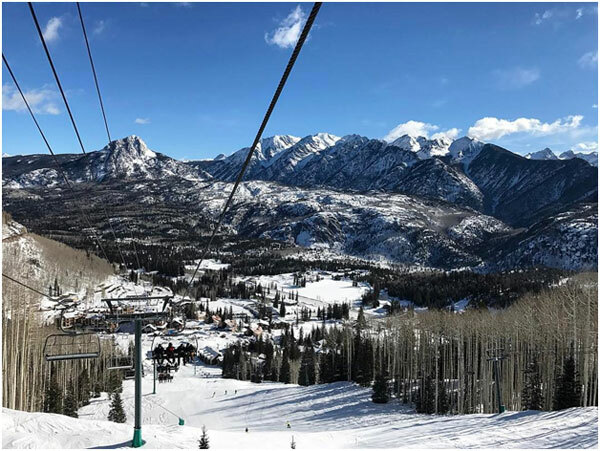 If you’re looking for the largest and possibly the best ski resort, you can’t miss heading over to Vail Resorts in Colorado. It is the largest skiing area in Colorado, as well as one of the largest in all of North America. The state of Colorado is famous for its popular skiing towns, and Vail is one of them. Unlike most other ski towns, Vail was made for one purpose: skiing. Unfortunately, it lacks history and authenticity as a historic city but makes up for it with all the things to do. From live music to amazing food, Vail will prove to be some of the best times you’ve had on the slopes. At Vail Ski Resort, you can rent skiing gear and get your adrenaline running as you head down the mountain. If you’re looking for a place to ski, Vail should be one of your options. When people think of best states for skiing, they most likely won’t think of New Mexico. 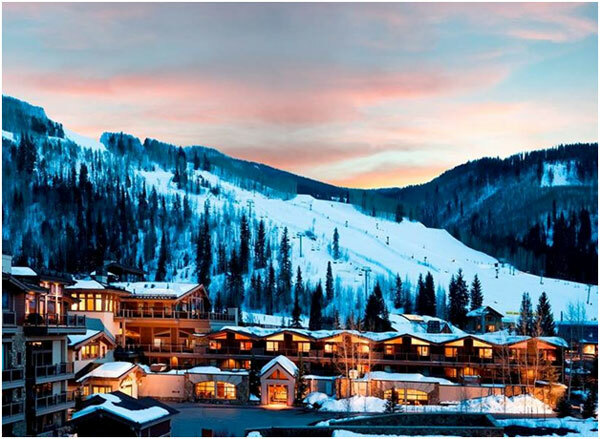 New Mexico features one of the best ski towns in the United States, Taos. The ski town is famous for more than just skiing, from upscale art galleries to exquisite cuisine. Most people wish to ski on the slopes of the Rocky Mountains, and you can do just that at Taos Ski Valley without much of a crowd. If you’re a newbie, you might want to stick to the smaller slopes, but if you’re an advanced skier, head up to Kachina Peak with the provided lift. 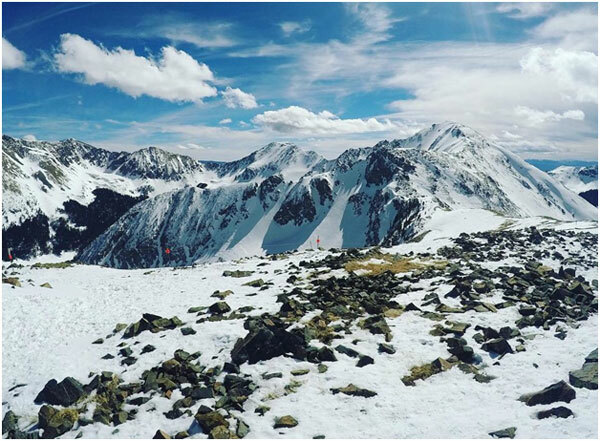 Kachina Peak is one of the state’s highest mountain passes, so you better not be afraid of heights. Once you get hungry, head back to Taos Ski Valley for some of the best food in the state. 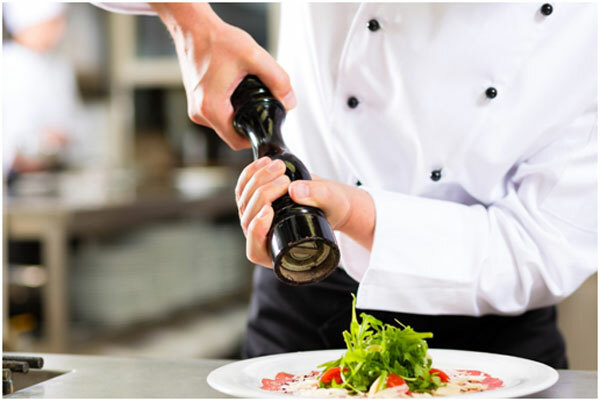 From breakfast to dinner, everything is served at the multitude of restaurants they feature. If you’re looking for a relatively crowd-free skiing spot, head to Taos. According to Durango’s website, they feature “a snow day the whole family will love.” This, according to thousands of visitors, is true indeed. Years ago, Durango was a mining town but since then has become one of the hottest outdoor activity spots in the country. Not only is it great for outdoor sports, but Durango stays true to its historic roots by keeping landmarks like the Strater Hotel open. The historic sites, as well as the interesting dining, makes Durango a unique place to visit. If you’re looking for the best ski spot in Durango, head over to Purgatory Resort. Unlike many other ski slopes, they feature tons of terrain perfect for newbies and beginners. Don’t worry advanced skiers, there’s more than plenty of terrain for y’all. One of the most convenient ski towns is Park City, Utah. It’s located only about 30 minutes from Salt Lake City, making it one of the few ski towns that close to a major airport. Things like unique dining, perfect ski slopes, and the Sundance Film Festival make Park City a must-visit during the winter. Park City also used to be a mining town, but now thrives as a ski and snowboarding hotspot. If you only want to ski, you should head to Deer Valley; and if you want to snowboard and/or ski, head over to Park City Resort. Park City Resort is the larger of the two, in terms of terrain as well as amenities. Park City also features the world’s only ski-in and ski-out distillery, so you can raise your spirits after a long day in the cold weather. Wyoming’s most popular ski town is Jackson, hands down. It’s not a mining town, but more of a cowboy town. Back in the day, the settlers of the Wild West were putting the work in at Jackson, making it another historic ski city. 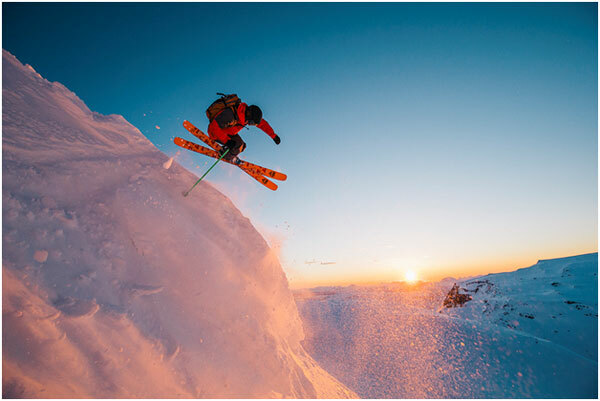 If you’re an advanced skier, you should head over to Jackson Hole Mountain Resort for steep slopes. If you’re bringing your family or more of a beginner, you should stick with Snow King Mountain Resort. It offers much easier terrain than Jackson Hole Mountain Resort. When you get puckish, head over to Mangy Moose, one of Jackson’s most famous restaurants. There, you can enjoy a fresh brew, a steakhouse breakfast, lunch, and dinner, and live music. What more can you ask of a restaurant? If you’re looking for an amazing skiing spot, don’t forget about Jackson. You know how you should get to these ski cities? No, not by flying but by chartered bus. Here’s why. Prompt Charters’ chartered buses offer a relaxed and comfortable ride, compared with a cramped, uncomfortable plane seat. In most of our bus models, we also offer complimentary Wi-Fi. That’s next to rare on plane rides. What happens if the weather gets to dangerous to fly in? Your flight might be delayed or even canceled. If you choose our chartered buses, our drivers are highly experienced with these types of situations. They will decide when its safe to travel, and we guarantee we’ll be on the road before the plane takes off from the runway. There are so many more reasons why traveling by chartered bus is better than plane, many of which you can read about in our other articles. These ski towns are calling your name. You know you want to go, and you should book your travel with Prompt Charters. We will keep everything hassle-free, so you can have the best winter vacation of your life. We are dedicated to providing the best service in the bus industry, with our clients as priority. To learn more about our vehicles or services, visit promptcharters.com. For a personalized quote, contact our team at ☎ 1-877-277-6678. We’ll be more than happy to answer any questions you may have. Happy Skiing! Food. This article is all about the food. Well, that and the best foodie cities as well. You like food, I like food. Who doesn’t? That’s why we decided to write about the top four United States cities that you should visit for the food. 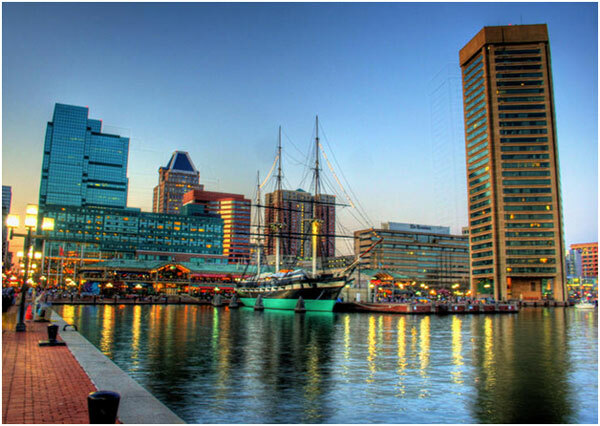 Although most of you can guess a city or two on this list, some may surprise you. New York City has one of the largest food scenes on the continent. From Indian to Italian to American, NYC has it all. The metropolitan is filled with restaurants of different cultures. If you head to Kopitiam, you’ll find a café that serves coffee and full, authentic Malaysian meals. If you fancy French food, Le Coucou is definitely the way to go. Daniel Rose, the chef of Le Coucou, is a renowned French chef in the United States. Another great place to eat is Katz’s Delicatessen. Katz’s Deli is an insanely popular tourist and foodie spot in the city. They are known for serving some of the best sandwiches and morning foods in the state. Aside from restaurants, NYC also features a variety of credible food carts. Among the most popular are the Halal Guys, who serve their immensely popular chicken and rice. Also, NYC is notorious for its amazing pizza, found literally everywhere. If you’re traveling to NYC, you mustn’t miss these popular places of food. Another major foodie destination in the U.S. is San Fran. Being another large city, it also features cultural food from around the globe. Being so close to the Pacific Ocean, it features a lot of seafood options. 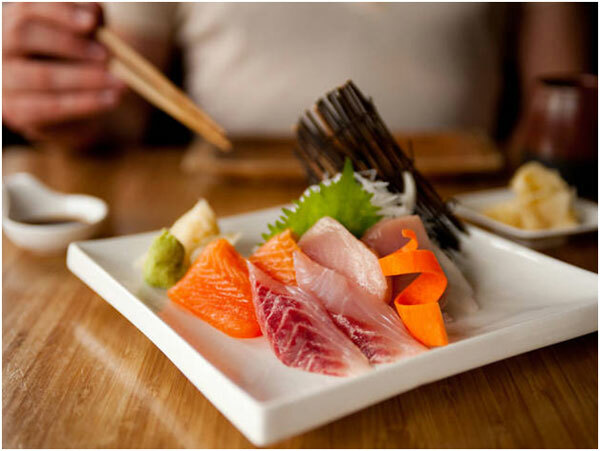 Akiko’s Restaurant serves one of the most popular seafood options, sushi. Italian cuisine is also very popular in San Francisco, so you should visit Seven Hills. If you don’t mind spending more than a few bucks on food, visit the popular French restaurant, Gary Danko. The chef, which the restaurant’s named after, mixes exquisite French food into a homely space. In the eyes of a foodie, San Fran is definitely a major player in the best spots for food. New Orleans is significantly smaller than both San Fran and NYC, but their appetite and palette is definitely not. 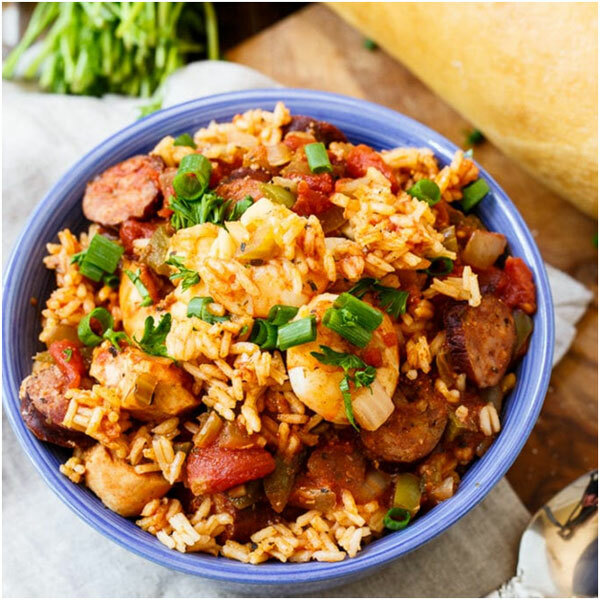 The Louisiana city is heavily influenced by French culture, with jambalaya standing out the most. Jambalaya is a Spanish, African, and French dish of rice which originated in Louisiana. Gumbo Shop is one of the best places for authentic jambalaya in the city. Another popular food is PO-Boy sandwiches. It was “created” for streetcar workers who went on a strike, or so the tale goes. It’s basically a heap of tasty meat stuffed into a roll of French bread. There are many restaurants that serve these sandwiches such as Parkway and Killer PoBoys. Another city near the Pacific, Los Angeles also features tons of great restaurants. Unlike most other cities, L.A. offers its food on a relaxed scale, meaning you can find great places in even places like a strip mall. Los Angeles has always been known to compete against NYC for their pizza. Even now, there hasn’t been a clear winner. 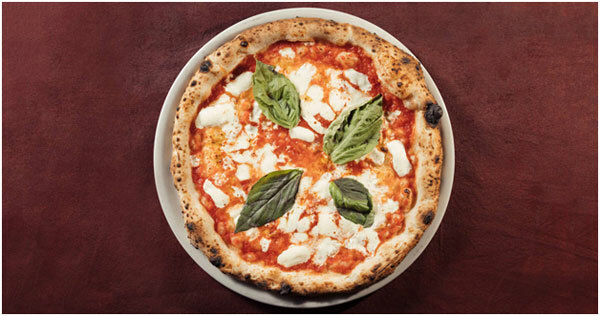 Nonetheless, several amazing pizza places include Casa Blanca Pizza Pie and Pizzeria Mozza. If you’re looking for an amazing foodie experience, visit Spago. 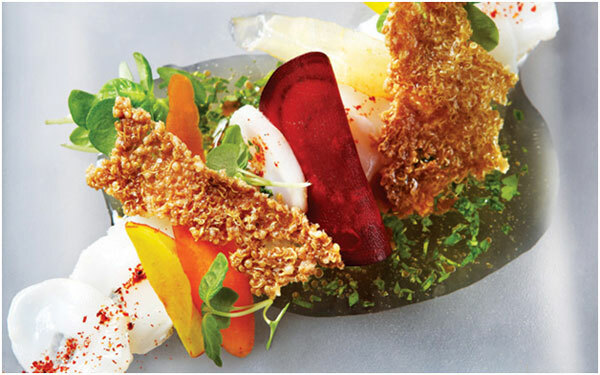 Located in Beverly Hills, Spago is the brainchild of world-famous chef, Wolfgang Puck. You might even find him in the kitchen once in a while. These were just a few of the best places to eat in the United States right now. A perfect way to visit these cities is a chartered bus trip. You can head to one or even all of the cities in one trip with Prompt Charters. Prompt Charters is a top-tier bus chartering company that is focused on providing the best in the industry. 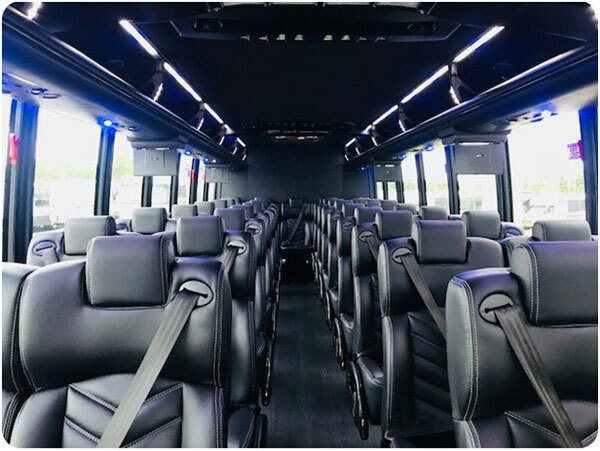 From 15-passenger minibus to 60-passenger motor coaches, Prompt Charters offers vehicles perfect for any size group. Has this article made you hungry? Well, get your friends together for a once-in-a-lifetime road trip with Prompt Charters. To learn more about what we offer, visit promptcharters.com For a personalized quote, contact us at ☎ 1-877-277-6678. Happy Travels!